This is a very simple method for making pizza dough. It is so delizioso and making it can be quite fun. The key ingredient apart from the essential yeast, is good quality flour. Purchase 'bread & pizza' flour, it will make that difference between a doughy pizza and a perfect one!...divertiti...have fun. 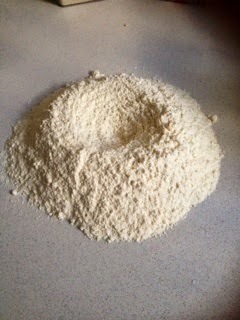 Pile the flour onto a clean kitchen surface and make a well in the centre. Add the yeast, sugar to the lukewarm water, mix it with a fork until well blended. Leave for a few minuto then pour into the well. Using a fork, slowly bring in the flour in from the inner edge of the well and mix into the water. Continue to mix, bringing in all the flour. This is where you can use your hands! 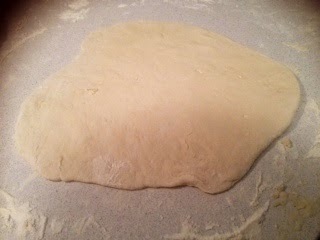 Bring the dough together so it forms a large ball, knead the dough using your hands bringing it forwards and backwards. You may feel like a toddler but have fun, roll it, then stretch the dough towards you with one hand then push the dough away from you with the other hand. Repeat for 10 mins until your dough is soft and spongey. 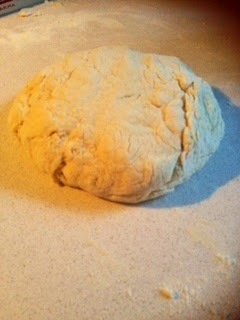 Flour the top of your dough and cover it with glad wrap and let rest for 15 mins at room temperature. Now divide the dough into as many balls as pizza you want to make. Dust your surface with flour and start rolling! When you're ready to cook them, pre heat your oven to 220 C. Next step is to smear on 2 tblespns of tomato sauce (see next blog)! and your favourite toppings. Heat a saucepan, add a dash of olive oil and then the sliced garlic. Cook until garlic turns light brown. Add half the basil, the tomatoes and a few pinches of salt & pepper. 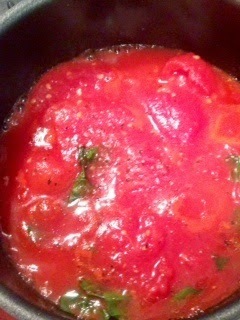 Cook gently for about 15-20 minutes, mashing the tomatoes until smooth the. season, taste again and put to one side.